Color Move - Align the pieces with the right color. Mad Bombs - Help the bombs kill the zombie-pirates on the far island! Electric Box - Get electricity to reach the target. JackSmith - You will design swords, bows, shields, and other weapons in a completely hands-on blacksmith shop. Crush the Castle 2 - Use your catapult to damage the structures in as few tries as possible. Linkage Draw - Connect the static parts with the rotating wheels to make the red pen draw over the red drawing. A Bonte Christmas - Collect Christmas balls in the correct order to complete all 16 levels. Layer MAZE 5: Switches - The fifth part of brain breaking 3D puzzle. Make your way through the maze to the exit the level. Cursed Treasure 2 - An addictive tower defense style game with some RPG elements to mix things up a little. Use magic and turrets to keep the bad guys from stealing your gems. Your precious, precious gems. Bob the Robber 2 - Is the city in danger again? It looks like a job for our hero – robber Bob! JECT - Throw a bouncy ball into a circle. Raft Wars 2 - Infiltrate a waterpark, fight your way past security and find back your treasure. I Can Fly - Help the flying piggy avoid electric thunder clouds, birds and other obstacles as he collects star, bonuses and fuel in the air. Belt Master - Become a 6 Sigma Assembly Line Belt Master. Using your mouse move/throw the parts to the correct conveyor. Koutack - Your goal is to stack all the pieces into a single stack. Click a tile to move adjacent pieces to that spot. Truck Loader 4 - Put the crates in their proper spot using a magnetic crane. Fractured - Help a lost boy find his mom, in this unique platformer that features some very interesting puzzle mechanics. A Blocky Christmas - Use the arrow keys to move blocks around until they fit into the shaded area. Ultimate Waterfalls - Fill all the containers with the correct colors in order to proceed. Nuclear Gun - Control a nuclear gun and spread mayhem and chaos upon your enemies. Anyone that comes close will be vaporized! Cargo Bridge 2 - Build a bridge and test your consctruction skills. Help your workers to collect items located on the other side of valley. Let it Glow 2 - Connect the energy source to the bulbs by removing obstacles and moving the transmitters. Sugar, Sugar 2 - This game is like a custom sugar factory. You have to engineer a sequence that will deliver the materials through the right processes to the right destinations. Atomic Puzzle 2 - Clear each level by removing the atoms in the correct order. Can you predict the merging of the molecules so that there’s none left at the end of each level? Bubble Tanks Tower Defense - Evolve your towers for epic win. Out Of Wind - Out of Wind is a physics-based gears construction game. Place gears in correct spots to reactivate the windmills. Pigs Will Fly - Pigs Will Fly is a fun physics game. Your job is to help the pigs get their wings by manipulating objects with your potions. Wooden Rolls - Rotate all the rolls 360 degrees to complete the level and proceed to the next one. Timing and strategic planning is everything in this game. 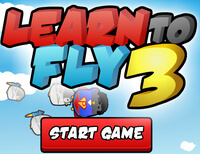 Learn 2 Fly - You learned how to fly, but Icebergs stopped you and crushed your dreams. Now you’re back for revenge! Civilizations Wars Ice Legend - Build up your civilization and upgrade your skills as you try to conquer the world! 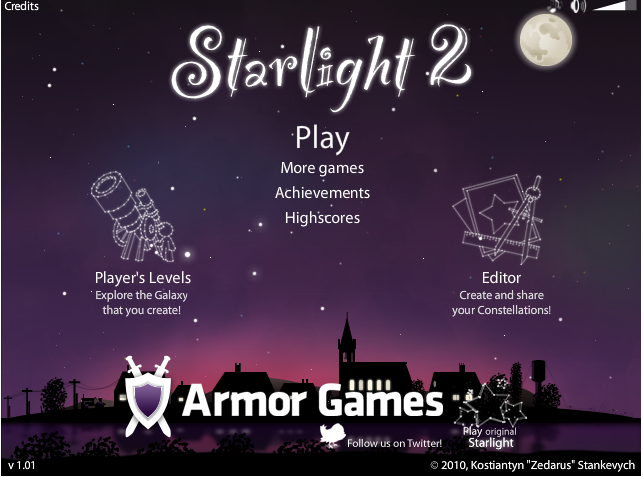 This real time strategy game will challenge your every move as you progress throughout the map. Ninja Mushroom - Clear a path for your super shroom to reach the Golden Stump. Phage Wars - Spread your parasites in this fast pace, strategy game. The goal is to overtake all other parasites and become the "Dominant Species". Learn to master each parasite effectively and infect all forms of cellular life. Sugar, Sugar - Xmas Special - This game is like a custom sugar factory. You have to engineer a sequence that will deliver the materials through the right processes to the right destinations. It starts off easy, but gets challenging quickly. Truck Loader 3 - Put the crates in their proper spot using a magnetic crane. Complete all 30 levels. Into Space - How far into space can you go? Start with a basic rocket, and pilot it into outer space as you grab extra cash and fuel, but also avoid hazards. Factory Balls 4 - Drag and drop a ball over different types of tools to produce the required ball physics. WonderPutt - Adventure golf... but with cows, toads, ski slopes, torpedos and a little alien abduction. The Successful Experiment - Place bowling balls, basketballs and bubbles on the screen to get the eight-ball to the flag in each level. Knightfall 2 - Help Knight conquer an ancient evil in this epic puzzle RPG, set in a world of monsters, treasure and adventure! Fault Line - Use the Arrow keys to move. Use the MOUSE to control join nodes and fold areas of the level away. Cursed Treasure: Level Pack - An addictive tower defense style game with some RPG elements to mix things up a little. Use magic and turrets to keep the bad guys from stealing your gems. Your precious, precious gems. Flight - Throw a paper plane as far as you can. Collect points and upgrade your plane so you can throw it even further. Sugar, Sugar - This game is like a custom sugar factory. You have to engineer a sequence that will deliver the materials through the right processes to the right destinations. It starts off easy, but gets challenging quickly. Factory Balls 3 - Drag and drop a ball over different types of tools to produce the required ball physics. Chronotron - Use your time machine to interact with past versions of yourself in this puzzle/platformer! Trafficator - Control city traffic from one side of the map to the other without any accidents. Mining Truck 2 - Deliver goods on a small trolley from point A to point B, through a complex system of underground mining tunnels. Ozee - Move objects, solve puzzles and collect stars as you make your way to the exit in this physics-based platformer. Cargo Bridge: Xmas - Build a bridge and test your construction skills. Help your workers collect items located on the other side of the valley. Bouncy - A ball seeking its way home. Use your cannon skills, aim, power and a limited number of shots to get it there. BattleShip - The Beginning - BattleShip - The Beginning is a classic naval strategy, in which the player tries to sink computer's hidden ships. Perfect Balance 2 - Tricky physics game requires spatial visualization skills. You can spin and stack objects. It gets tough quickly. Civilizations Wars - A fast thinking casual RTS/RPG, with deep tactic capabilities and amazing graphic. A Bonte Escape - You find yourself dropped in a strange room, but are you smart enough to get out? Insurgo - Build as quick as you can, as high as you can! Magic Pen 2 - Make clever use of physic to collect all flags in each level. Cursed Treasure - An addictive tower defense style game with some RPG elements to mix things up a little. Connect It - Solve the puzzle by placing gears in the right place, to put things in motion and connect the wires. Spin the Black Circle 2 - Lead the ball to the portal. Just spin the maze and gravity will do the rest. Cargo Bridge - Build a bridge and test your construction skills. Help your workers collect items located on the other side of the valley. FactoryBalls 2 - Drag and drop a ball over different types of tools to produce the required ball physics. FactoryBalls - Drag and drop a ball over different types of tools to produce the required ball physics. Ice Breaker: The Gathering - is yet another sequel to the wildly popular Ice breaker and Ice breaker: The Red Clan. Civiballs 2 - Choose Rome, Inca or Vikings and solve the puzzles by cutting the chains. If you get stuck, just try another civilization! Picma - Picmas are picture logic puzzles where numerical clues placed around a grid are used to discover a hidden image. Dynamic Systems - Get the metal ball in the bucket by building a path using the objects available. Use Boxmen - Use Boxmans friends to get ahead in this puzzle platformer! Get a boxman to the box! Blinkout - How good is your visual memory under pressure? Disk Field - Guide the disk over to the designated area by aligning the arrows. PowerUp - Use metal boxes to create a circuit between the robot heads. Shift 3 - Can you traverse the mind bending puzzles when "Up" and "Down" lose their meaning? Ice Breaker: The Red Clan - Save the frozen vikings by getting them back to their longboat! Civiballs - Choose Greece, Egypt or China and solve the puzzles by cutting the chains. If you get stuck, just try another civilization! Shift 2 - Can you traverse the mind bending puzzles when "Up" and "Down" lose their meaning? Ice Breaker - Save the frozen vikings by getting them back to their longboat! Kinetikz - Fire discs at the puck to guide it to the target in this addictive game of skill. Gravity Grid - Connect the blocks by rotating or flipping the grid in this clever and addictive puzzle game! Ball Story - Move your ball and avoid obstacles, to complete all 50 levels. Switch - Collect all of the balls before your time runs out. You can only grab ball of the same colour, click the mouse to switch colours. Bridge Builder - You need to build the bridge to get the creatures to the other side. The bits the creature can walk along are build along the green line. Golphysics - Physics-based golf game! Bouncy platforms, changing gravities, magnetic fields, power boosters, and more, much more! Rollercoaster Rush - Keep riders safe while providing the most excitement! Spin the Black Circle - Lead the ball to the portal. Just spin the maze and gravity will do the rest. Hexiom - Change the colors of the tiles. Shift - Shift to Rotate! Gimme Friction Baby! - Simple, but addicting. Pinch Hitter 2 - Challenging Game. Different spin on baseball. Tower Defence - Defend the tower....fun. Motherload - Great for mining engineers! Dig for iron, gold platinum and more! Zwok! - Lob projectiles against opposing team members. Very Good! Hex-7 - Be the first to make three in a row horizontally, vertically, or diagonally. Triplets - Connect the sides of the board with an unbroken chain of their own pieces. Tower of Hanoi - The goal is to move all of the discs from the left peg to the right one. Rush Hour - The objective of this puzzle is to get the red car to the exit. Mini-Putt - Finish 18 holes of mini-putt with the lowest score. Simon - This one will test your memory to the limit, if not your sanity. Logic Elevators - Help the 5 characters get out of the elevators. Pipes - Connect the pipes from the top right corner to the bottom left corner, creating a path. Blocks of Death - Set all blocks to the "down" position. The 8 Queens of Death - Place 8 queens on the board, so that none may attack any other. CurveBall - Play against the computer in a three dimensional "ping-pong" type game.